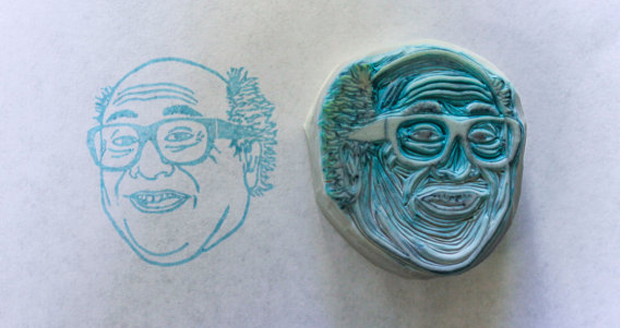 How much would you pay to be able to stamp Danny Devito’s face onto everything you own, and some stuff you don’t own. If the answer is $85 then you’re an idiot, that’s way too much. If it’s $2.45 then you don’t value this precious Hollywood midget enough, he is too fancy for you. 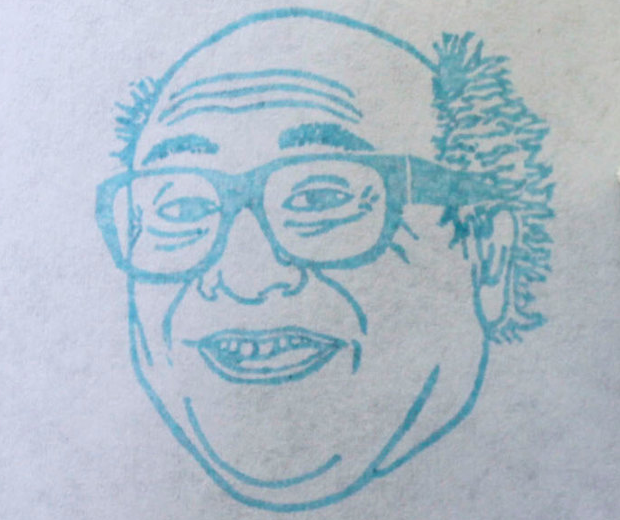 If the answer is $35 plus postage and packing, then congratulations, you can own one of these handmade Danny Devito stamps made from rubber and wood. 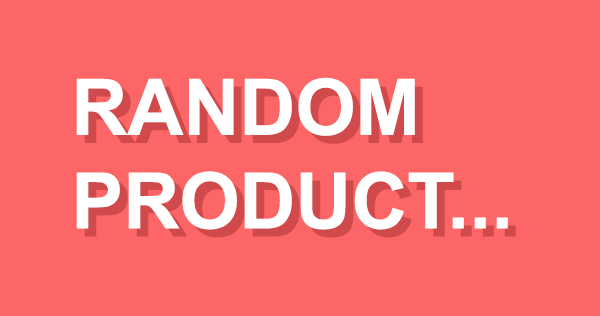 Give love letters a hilarious twist. Entertain your bank manager by signing cheques with Danny Devito. Stamp a priceless piece of art in a museum and then cover the guard in ink as he apprehends you. He’ll thank you later when his wife ravishes him.